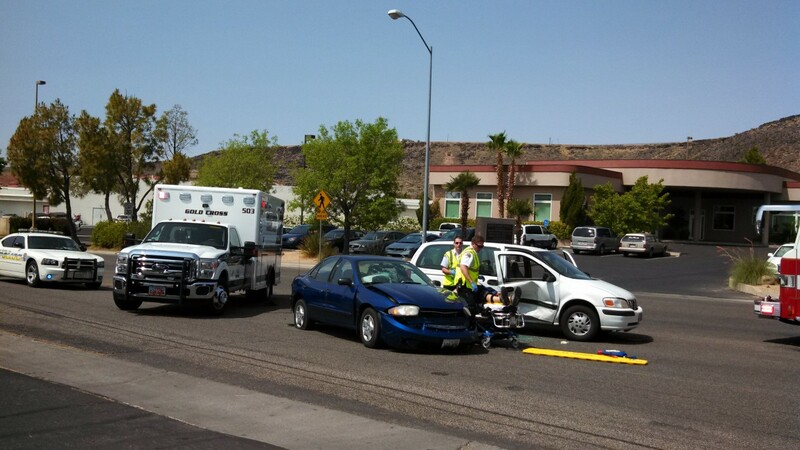 ST. GEORGE – A three-vehicle accident late Monday morning sent two people the hospital and left another with a citation for distracted driving. 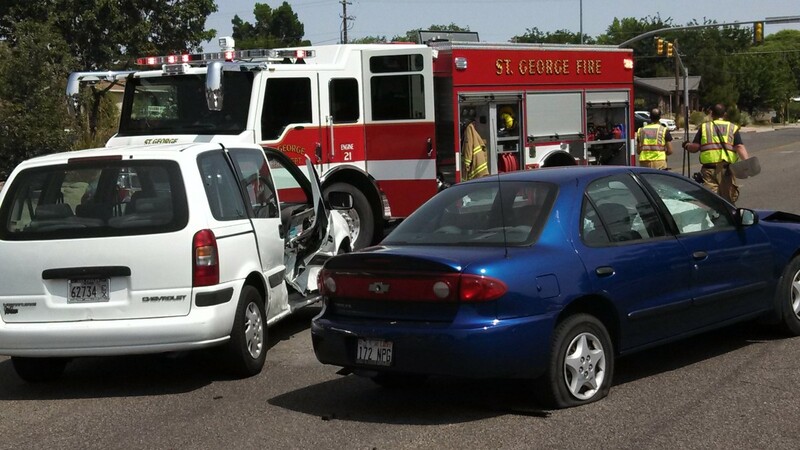 St. George Police Department Officer Jamison Hale said around 11 a.m. in the vicinity of 750 South Main Street, a van was leaving a parking lot onto Main Street and turned northbound, stopping in the left turn lane. A blue passenger car was traveling northbound in the inner lane on Main Street drifted over into the turning lane and hit the van. The van was then knocked forward into a car slowing for the red light at the 700 South and Main Street intersection. Hale said the driver of the blue car was looking at his mobile phone checking directions when the accident occurred. 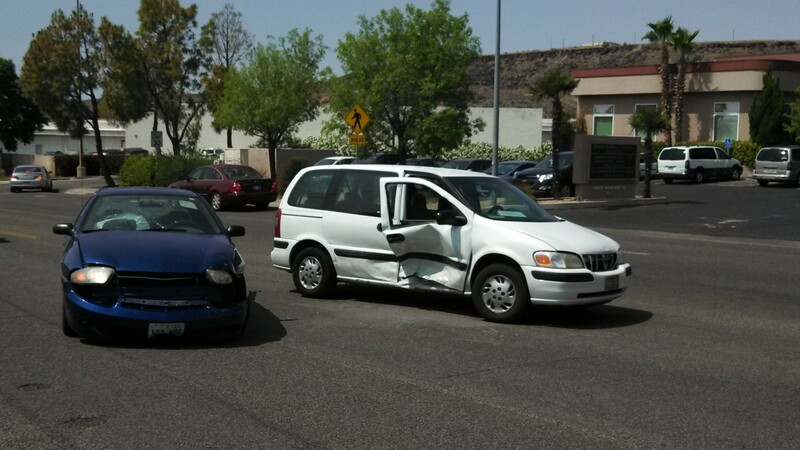 There was heavy damage to the passenger side of the van and front-end damage to the blue car. The car bumped by the van received minimal damage and was able to drive away after the incident. 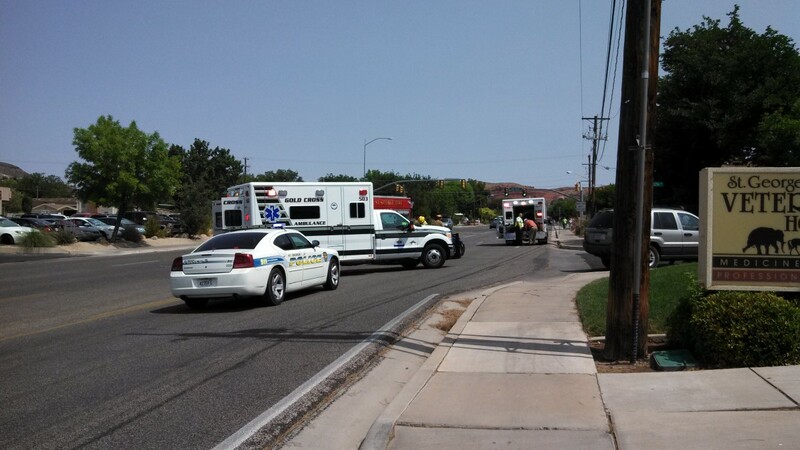 Hale said the passenger of the van and a passenger were transported to Dixie Regional Medical Center. He was unable to confirm the condition of either individual at the time. The driver of the blue car was issued a citation. People really need to put their phones down before they kill someone!